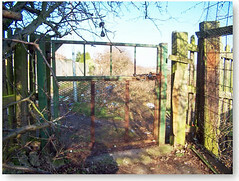 We are still waiting for work to start of the renewal of one of our pedestrian gates. This was due to be completed this month. The supplier tells me that the new gate still hasn't been delivered from the manufacturer as there is a shortage of steel due to most being shipped to China! (Seems to be going to the Olympic effort). Let's hope the gate will arrive soon! If you haven't already received notice of the new arrangements for the entrance gate. (Information was emailed to everyone with email access yesterday and leaflets will be given to everyone else by the weekend). In the interest of safety and security to all plot holders and their property the new gates must be locked at all times - even when the visit is just intended to be a short one. Usually we stay longer than intended don't we? To keep our site secure we really do need everyone's co-operation. If you see that the gate has been left open then please don't be afraid to go and lock it. Work progresses steadily on the communal plot. Second-hand scaffolding boards have been ordered for the construction of the storage bays and we had some wood chippings delivered with which to cover the weed suppressant. Thanks to Martyn for spreading it before it all disappeared onto other plots! If anyone needs any for paths help yourself to the pile not the stuff that is spread out. If anyone orders any more chippings please wait until the pile there is used up and then ask for it to be unloaded on the membrane covered area in the centre of the plot. 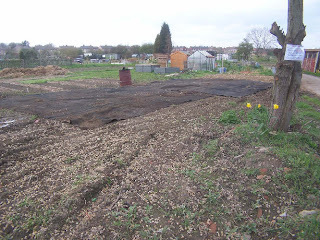 Weeds are beginning to sprout on the area which we had to leave uncovered due to lack of membrane so please search any nooks and crannies and if you do find any surplus to your requirements if you could pop it on this plot that would be great. We won't manage all of them as the Live Search Map unfortunately doesn't have birdseye views of all areas of Wakefield. 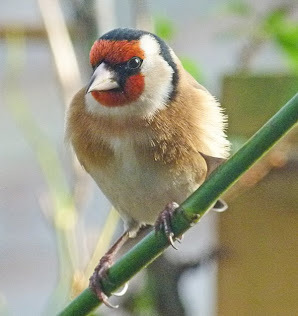 I have started this off with some birdseye views of some that I know of. If you garden on an allotment site in Wakefield post a comment or email me to tell me where it is including the street name and if possible send a photograph that you think sums up your site. I'll then add your site to our collection if I can find a bird'seye view. 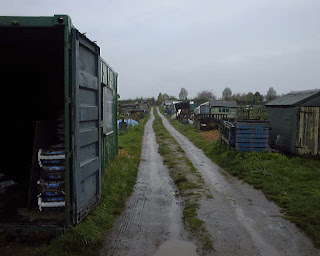 Pat and Joe visited the allotment site in Agbrigg on Sugar Lane last Sunday and took this photograph. 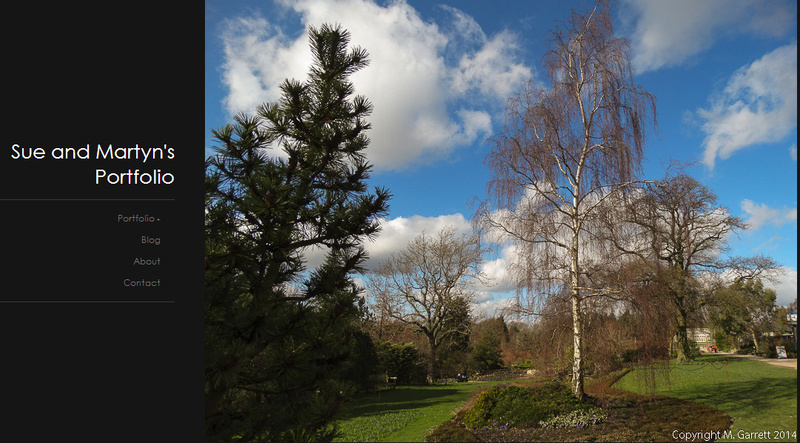 I am sure it looks much better on a nice day so if you garden on this site send us another photograph of your site at it's best! Could anyone who has any plants/seedlings etc. to donate to Southdale Junior School for their plant sale please let me have your contributions by next Sunday so that I can take them to the school in time for there sale. This months photographs were taken on April 26 2008 - April has continued to disappoint although when the sun has actually decided to make a brief appearance it has been warm and pleasant. The day when the photographs were taken was one such day. There was plenty of activity on the plots and it was warm enough to allow for a bit of relaxation with a cup of coffee to recharge the batteries. Just the opposite to last year the ground is still wet and in some places unworkable. Still hoping for a good summer! 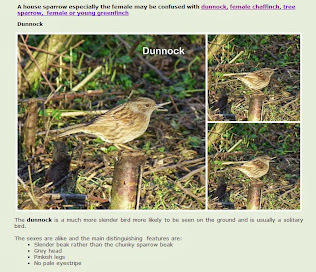 Click here for the larger version of the album and the April diary. Don't forget to take part in the survey and say why you chose to have an allotment. Communal plot - semi covered! Do you know your seeds? We have all been busily sowing seed for the last few weeks, but do you really notice what the seeds look like as you plant them? 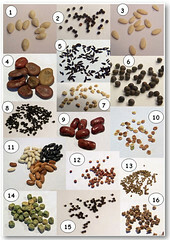 Click here to see if you can identify the seeds pictured on our web site as a larger version of the image below. You may as well have a go as it is too wet to get out on the plot. Some parts even had snow today!! If you can identify the seeds put your answers in a comment on this post. Next month I'll post the answers. Is it only me who never ceases to be amazed that the vegetables that we will hopefully harvest later in the year come from such tiny seeds. Thanks to everyone who has helped by redistributing the wood chippings - I don't know who you are so can't thank you personally but this is much appreciated. Just really a plea for more volunteers now. If anyone has a bit of time and would like to help sort out the communal plot the first job that we need to do is to get the plot covered with the weed suppressant. 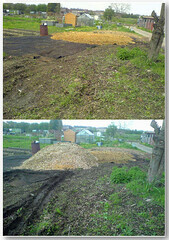 Once this is done we can ask for some more chippings to be spread over the surface of most of the material for the time being, just to keep it anchored and also make it look a little tidier - this can be then removed as required. (One piece of membrane is on the plot and the other pieces are on Matt's plot (the one down away from the Sycamores after Jan's plots). If we have a few volunteers we can soon get that covered. We also need to build the bays for the manure and chippings for communal use so it would be great if we had a volunteer or two to take on the job of building the bays - if someone/s will come forward for that job I will order some materials for this and also for the raised beds. I am going to buy fence posts and wany boarding (I think I have spelt that correctly) as a cost effective way of building the bays - it should mean that once started they can also go up quite quickly. Also let me know if any of your children would like a raised bed to garden so we have some idea of how many to set out. Once these tasks are sorted we can decide what else to do on the plot. Finally a reminder that Southdale Junior School in Ossett have asked if anyone has any spare cuttings seedlings etc that they could possibly have to sell at their plant fair in May - not exactly sure when but if you can help can you let me know. 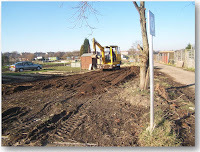 If you don't garden on Green Lane but live reasonably close to Ossett then email me if you can help out the school. They have a vegetable plot and are trying to raise money for equipment, plants, seeds etc. Here's hoping - please do consider offering to help as the more volunteers that we have the better and everyone is welcome to help even if you can't offer much time or don't know one end of a hammer from another. Sowing seeds for the first time? 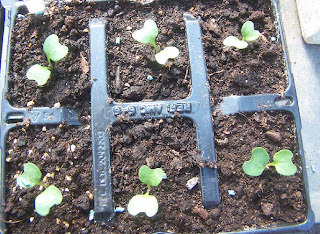 Click here for some step by step instructions on sowing seed. This is intended for the children but there is nothing to stop to adults having a little peep too! If you have suggestions for seeds that are easy enough for young children, who are just starting to be gardeners, to sow then please add them by posting a comment here. 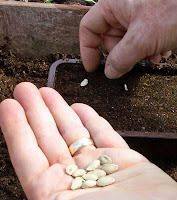 The seeds should be large enough to handle and germinate easily and fairly quickly. The beginning of spring is the start of what can become a frantic seed sowing season. Most of us will have lots of successes and failures but hopefully the failures will reduce as we learn from experience. Each of us will develop a system that works for us. The following is what we have found works for us. You may have had trouble accessing the notes attached to the web page below. My fault I have Office 2007 and I forgot to save as an earlier version of Word which most people will have - I have now rectified this and also saved as a PDF. Thanks to Chris for letting me know - if anyone else has problems accessing then do please let me know!! The months seem to be just flashing by now. I just wish that the weather would take note that we are now in April and it is spring! So no more snow and March winds. 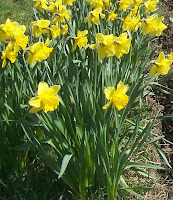 The daffodils are just to cheer us all up! For some reason the photograph doesn't appear but as I am on it - then that maybe isn't a bad thing. Just to correct a couple of things though - the article didn't mention the award that was granted to us by the Co-operative Community Awards Scheme so apologies to them and also the Community Chest Award from the council did in fact go towards the cost of the new gate and was not used to develop the web site which was started well before we gained any awards. Due to having to be politically unbiased the paper also didn't mention the tremendous support that Janet Holmes has given to us - so I would like to acknowledge that too. The next stage of funding will in fact be needed to replace the upper boundary fence and gates click here for more information. The Primary Care Trust has already awarded us a small grant to enable work on developing the communal plot. Click here for more information. By the way Karen - haven't they got your name wrong? Just out of interest if you are visiting us as a result of the article can you make a comment in this post to let us know! Southdale Junior School in Ossett are currently planning a plant sale. This will take place at the end of May. They have ordered some plug plants and are currently taking cuttings to grow on and sell. They have also been digging up self seeded bits and pieces from gardens. Does anyone have any surplus plants or seedling, self seeded bits or cuttings from herbs etc? If you have, they would really appreciate your help. Contact Southdale by emailing this web site and I will pass on messages - don't forget to give a contact name etc. If you garden on Green Lane just let Sue know if you can help. 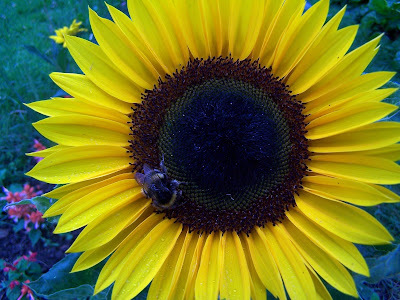 Have a go at the sunflower competition! Let's see who on Green Lane is good at growing sunflowers. Pat on plot 39b is organising a sunflower growing competition. On payment of a 50p entry fee you will be given two sunflower seeds. You must use the seeds provided to grow plants to enter into the competition. This is to ensure that it is not the variety of seed that's making the difference and keep things fair. Number of entries will be limited by the number of seeds in the packet. Other than that you can grow your sunflowers in any way you like. The entry fee is to enable us to buy prizes for two categories. One category is the tallest sunflower and the other is the largest sunflower head. The diameter of the sunflower head will be the dimension measured. The more entries we have - then the better the prize will be!Measurements will be taken on request and the dimensions recorded - and a photograph taken - this will ensure that it won't matter if your sunflower - flowers before everyone else's. Just decide when you think it is as big or tall as it is going to be and ask for it to be measured. Sorry but this is only open to tenants on Green Lane but if you garden on another allotment site - why not have your own competition and send us some photos.